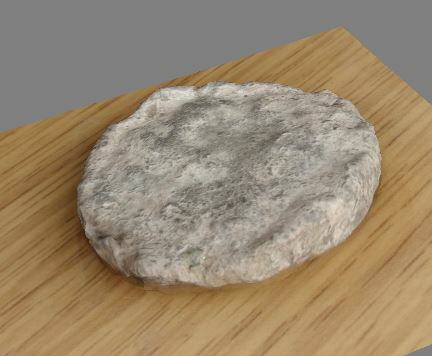 If you have been following this blog for some time, you will know that when it comes to Photogrammetric reconstructions I have always been a strong supporter of 123D Catch by Autodesk. I find that it is by far the easiest program to use, yet the results are still amazing. Recently they have released a paid Pro version that provides all the same results but allows the program to be used commercially. I think that is utterly brilliant, as it means it doesn’t halt research, but it still allows revenue for the developers if the user is himself making money from the software. Having said all this, I’ve started investigating new software, to see if there is anything that can bring improvement to what I already have with 123D Catch. Up to now, the best solution I have found is Agisoft Photoscan, which I had already used in the past but not to its full extent. Quality: This is the best starting point. With medium and high settings the quality can be really good, and generally you can get many more points than 123D Catch. With lower settings however the results do fluctuate. Control over process: If you are looking into more complex Photogrammetry this passage is very important. In 123D Catch you upload the images and get the result. That is it. In Photoscan you can go through all the stages (photo alignment, sparse cloud, dense cloud, mesh, texture) and change the settings to improve the finished product. You can even export the points as they are, and alter them using other software. It allows much more flexibility. More tools: You can select points, create masks, remove points based on certain parameters and more. Often these are not needed, but on occasion they can be just what you require. Many photos: 123D Catch struggles when you upload more than 50 photographs, and the results suffer. 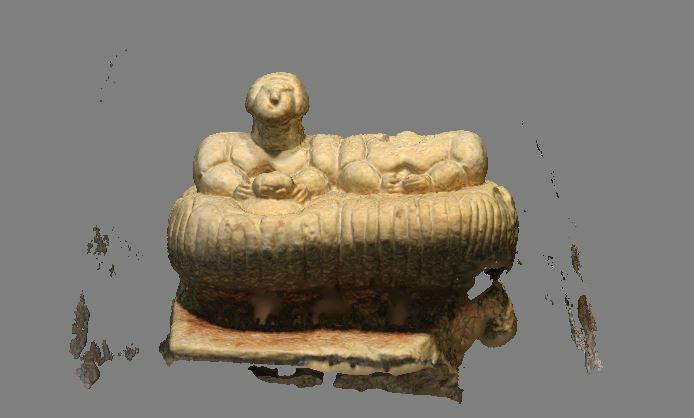 In Photoscan this issue doesn’t exist, and you can easily make models with hundreds of images. This is perfect for making large scale models, as the more images you have, the more accurate it is. No internet required: Often you find yourself in situations in which the internet is not great or is totally non-existent. Photoscan doesn’t need a connecetion to an external server to process the model, so even if the computer is not connected, it still works. Paid software: Although as software goes this is well priced, for people doing non-commercial work it is always difficult to have to keep up with the expenses for programs. 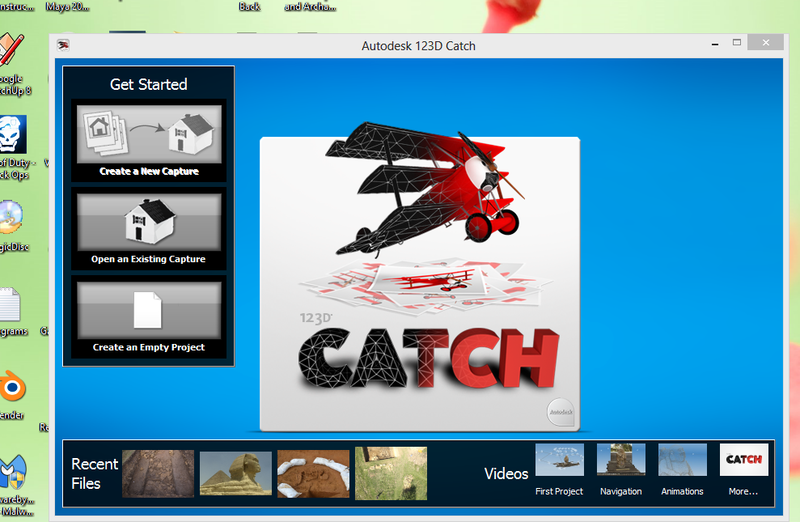 Memory: 123D Catch uses an external server, which means it does not use your own computing power. If you are trying to get high quality models, Photoscan will put a serious strain on your computer, and often it will even crash due to insufficient memory. Time: I can get a model done in 123D Catch in 5 minutes if the internet is good. The worst I have ever had is probably an hour. With Photoscan I have had to wait actual days for models to be complete, and sometimes I waited many hours before getting an insufficient memory message. 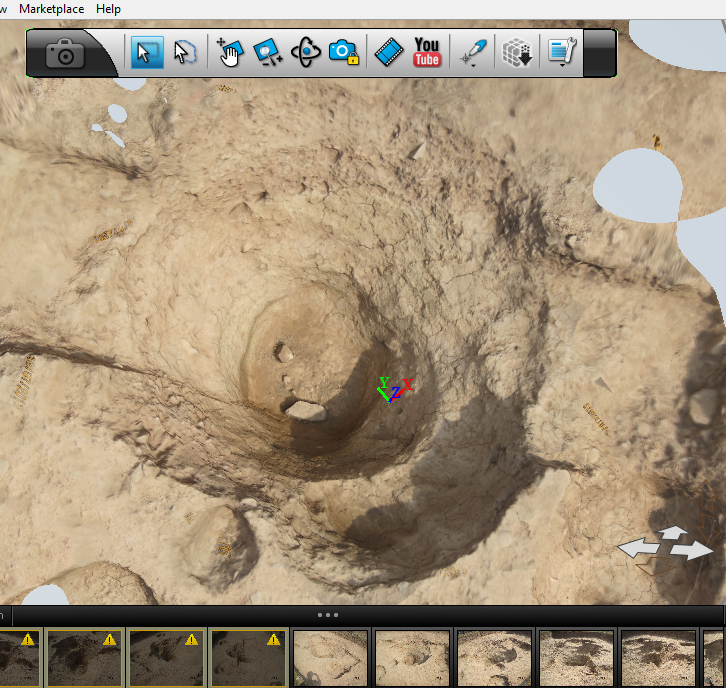 Simplicity: If you are just starting out with Photogrammetry 123D Catch is still the easiest of all programs I have used. 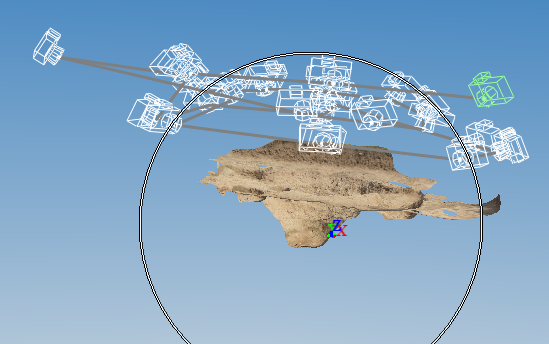 Overall, I think I would use 123D Catch for small scale and quick stuff, while Photoscan would be useful for large scale, or when I am trying to research something specific, so I am more in control of the results.